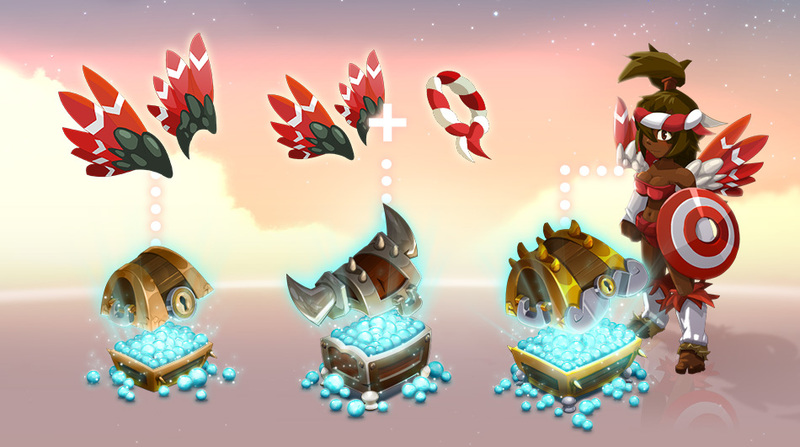 From today until November 5 at 11:59 p.m. (Paris time), the Coulive Set will be free with various ogrine packs. Get ready for a dazzling avalanche of colors in the World of Twelve! Over time, Nikodeus, the Meridia of Metamorphosis, and Miloune, the Meridia of Weaving, have become close friends. We owe the invention of camouflage briefs and costumes capable of transforming a Blop into Prince Charming himself to this relationship, not to mention the famous Coulive living items! Pack of 13,000 ogrines: a free Coulive cape. Pack of 28,000 ogrines: a free Coulive cape and hat. Pack of 47,000 Ogrines: a free Coulive cape, hat and shield. Master Pack: a free Coulive cape, hat and shield. Note that the purchase of a Master Pack is limited to once per account for the duration of this offer. As the name suggests, Coulive items adapt to the color of your character. So don't panic if you're not a big fan of red!